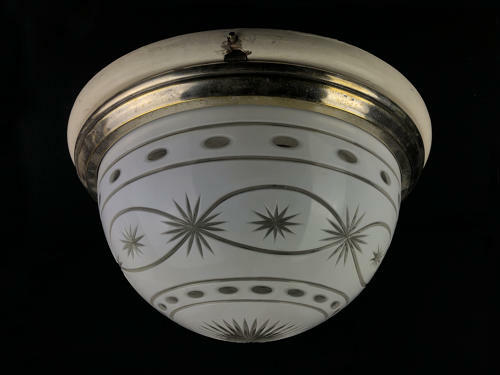 A Bohemian cut glass overlay plafonnier. Professionally re-wired for electricity. 20th century.